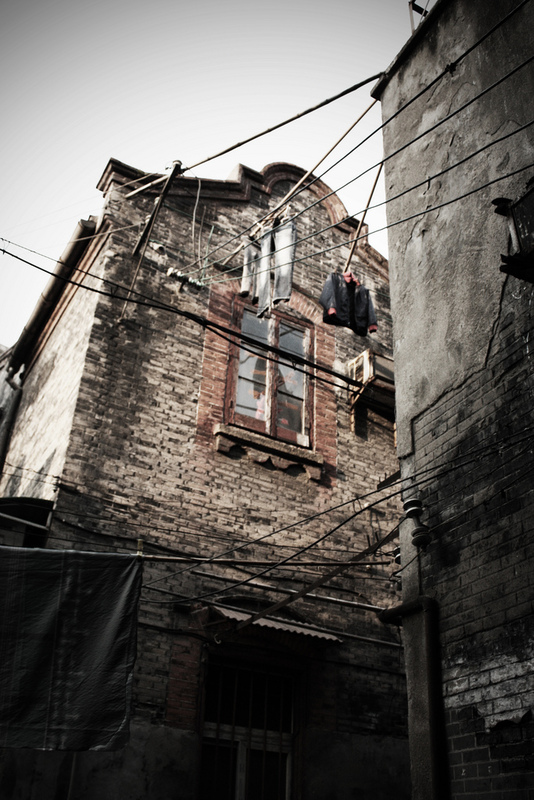 I wasn’t quite sure how I landed in Ruihua Lane (瑞华坊) which is nestled between Fuxing Middle Lu (复兴中路) and Hefei Lu (合肥路). It wasn’t the most direct of routes but I found myself admiring a display of public service posters made up entirely of large mosaic tiles. I caught an older resident walking his dog, and asked if he knew when these posters went up. Sometime in early 2000s, he replied, not too long ago. 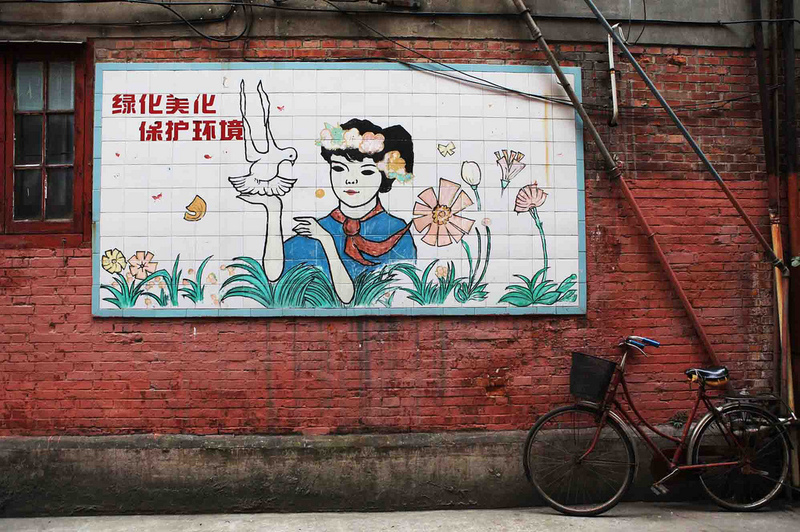 Though slightly fading, the posters, in good Party-like slogan fashion, reminded residents of behaviors that supported a civilized society: protecting the environment (绿化美化，保护环境), maintaining neighborly and familial harmony (邻里团结，家庭和睦) (with the classic 2 grandparents-2 parents-1 child family structure), keeping law and order (遵纪守法，遵纪秩序), helping others in the footsteps of the exemplary revolutionary hero Lei Feng (学习雷锋，助人为乐) and promoting the belief in science to combat superstitions (普及科学破除迷). The cartoons were cleanly drawn, made to resemble that of a young child, but effective. But why here on Ruihua Lane, and not anywhere else? I wondered. After searching for similar art in neighboring lanes, I found other mosaic-tiled posters but only with more detailed text (of soft warnings for safety) and no pictures. 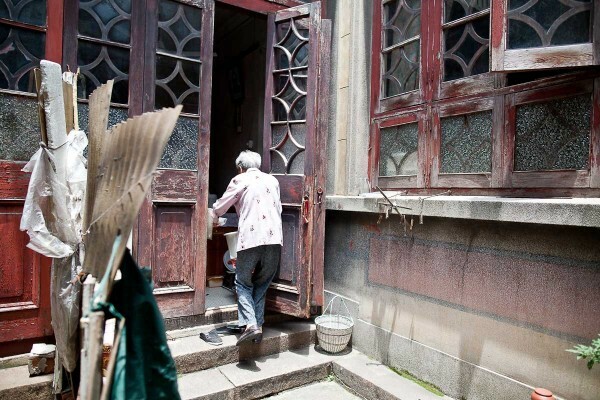 After a little bit of research, I found out that Ruihua Lane was believed to be a good neighborhood due to its proximity of wealthier occupants in nearby Jinan Lu (济南路) before 1949. It was also close to the site of the first National People’s Congress (全国人民代表大会) meeting on July 23, 1921 which was also marked the birth of the Chinese Communist Party. 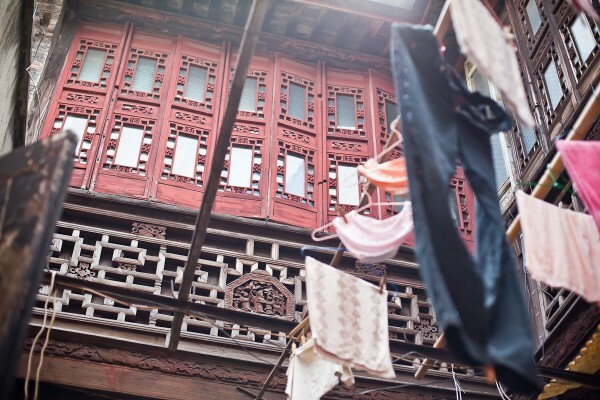 Or as most would know it now as Xintiandi (新天地). Politicians attending the NPC meeting had apparently resided in Ruihua Lane during that time including Leng Yuqiu who had served in the Republic of China army and met with Mao Zedong, Zhou Enlai and Zhu De. 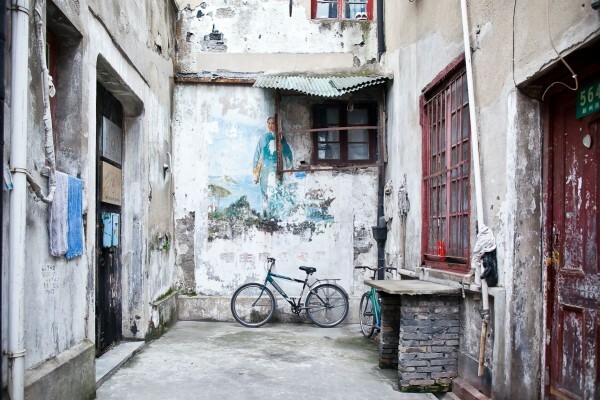 Sadly, in a matter of another year or so, Ruihua Lane would be no more. Almost a third of the residents in that lane have moved out and the entrances to their homes have been bricked up to prevent squatters. But mostly as a ringing sign of its pending demise. This is the case of many neighboring lanes in the area. While the mosaic posters were not heavily aged, they were an evolved version of civil propaganda, using long-standing Party concepts but revised for more modern times as opposed to older images of peasants and workers. We’ve left that behind us a long time ago. As such, they made a colorful addition to the lane’s character. The only irony is that as reminders of enduring good behavior, they will suffer the fate of a limited shelf life. Yes, Chris. The posters are located in the alleys and lanes, not on the main streets. They look like they were produced somewhere and assembled. 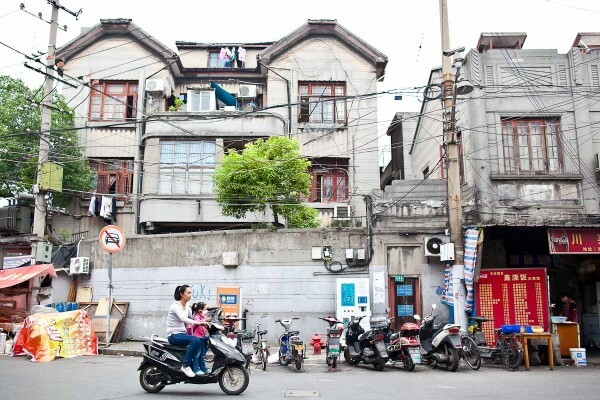 The simple design could have been a city initiative and it could be likely that more are scattered around Shanghai. Though I found it cute that a short lane had all of the posters in one place. I’ve seen a fair few, larger or more complex, around China. Thanks Woods! I actually started noticing the chalkboards ones earlier, especially ones that detail updates relating to Expo. It would be most interesting to find out who actually does this chalk drawings. Don’t you think?